Lodige is a main provider of cargo handling systems, offering airlines and ground handling agents technically advanced solutions for equipping their warehouses with machinery for the fast processing or storing of shipments. Recently, the North Rhine-Westphalia, Germany-headquartered enterprise was selected by Finnair Cargo to equip the carrier’s future cargo terminal with state-of-the-art technology. Lodige Industries’ head of Product Management and Systems Planning Knud Segatz has more on this. Q: Knud, presumably your company didn’t submit the economically most advantageous tender. Nevertheless, Lodige was awarded the contract. Which were the specific reasons for you winning? A: Lodige Industries distinguishes itself from its competition by being the only market player holding all competencies necessary for the delivery of a turn-key cargo handling system in-house. A design department that works solely with the manufacturing division. In general, the in-house software and system design is closely monitored and is improved using the experience gained from Lodige’s vast range of installed systems worldwide. The main target of Lodige Industries is to support the freight handler in fulfilling their customer promises. With the “One-Stop Shop” approach, Lodige easily provides a high degree of customization. Q: What does the entire package consist of you are supposed to deliver to Finnair Cargo? A: The heart of the logistic system is the storage and transport system for air freight containers and pallets (ULD) with two 15ft Elevating Transfer Vehicles (6.8ton capacity) as well as a high bay storage system (ASRS) with approximately 2,000 storage positions and 11 Stacker Cranes (1.2ton capacity). The system includes Truck and Airside interfaces, as well as 3 separate temperature zones for cargo and special goods such as pharmaceutical products and perishable food. Q: What role did your warehouse management software system “Cargo Professional” play for winning the tender and which special performance benefits can Finnair Cargo expect from this technique? A: Our warehouse management system CARGO PROFESSIONAL did play an important role in securing the contract. 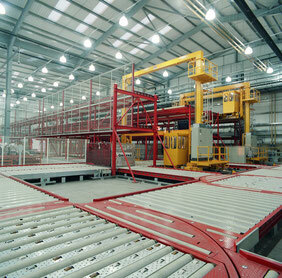 It has been specifically designed to optimize the operation of fully automated air cargo warehouses. Lodige’s IT systems used to focus on controlling the automatic movements of ULDs within the facility. Over time we have come to realize that our clients achieve best results if their operational processes are closely linked to the automation of the material handling system. We have therefore developed plugins which will allow Finnair Cargo to optimize the efficiency of their operation within the cargo hub, e.g. the automatic ULD dispatch, the workstation planning and the operation dashboard with a summary of key performance indicators. Q: When will your Handling System be operational and what is the financial volume of the deal? A: The construction works on the building plot of the 35,000m² terminal have already begun, with completion and Finnair Cargo’s migration from the existing facility scheduled for spring 2017. The value of the contract is confidential between the parties, but we can say that this is a major contract for us. 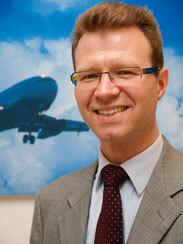 Q: The Finnair Cargo deal is just one out of a number of contracts Lodige Industries was able to secure lately. Another was equipping Qatar Airways Cargo’s new warehouse at Doha Airport with your Material Handling System. What’s your preliminary conclusion after an operational period of meanwhile more than one year? A: Qatar Airways Cargo is best placed to comment on this topic. We do believe that the highly automated system allows Qatar Airways Cargo to achieve world class service levels. Q: QR Cargo intends building a second large warehouse at their home base. What are the chances for your company to win the bid? A: As a company we believe in supporting our clients over the lifetime of their material handling system. We are doing our best to maintain this relationship with Qatar Airways Cargo.